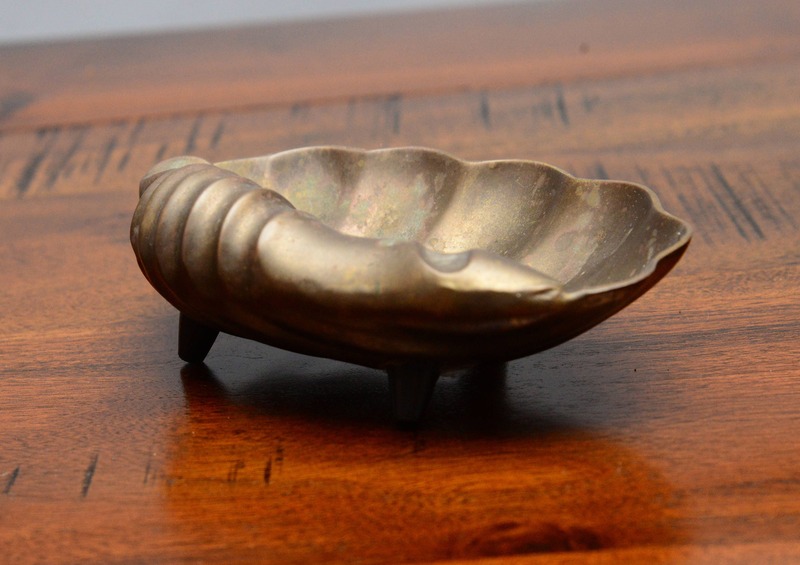 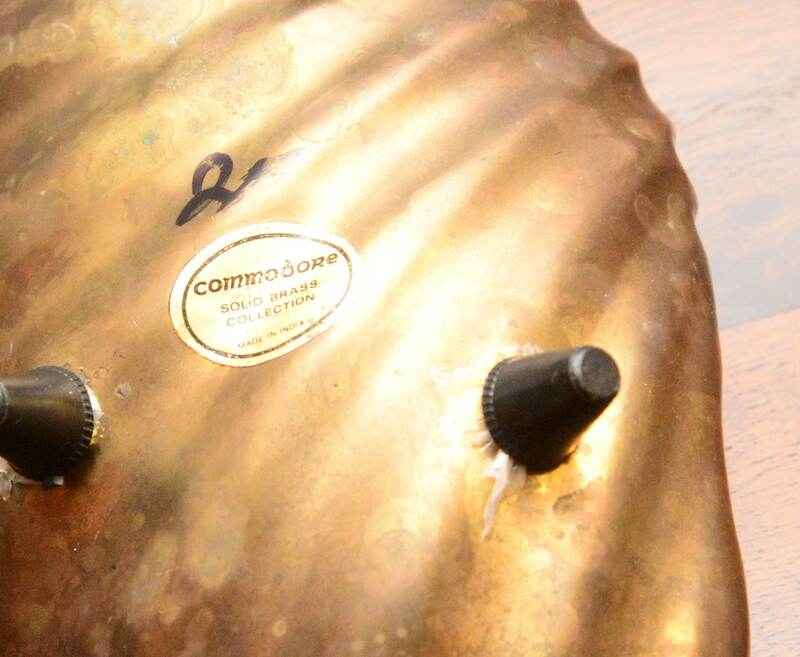 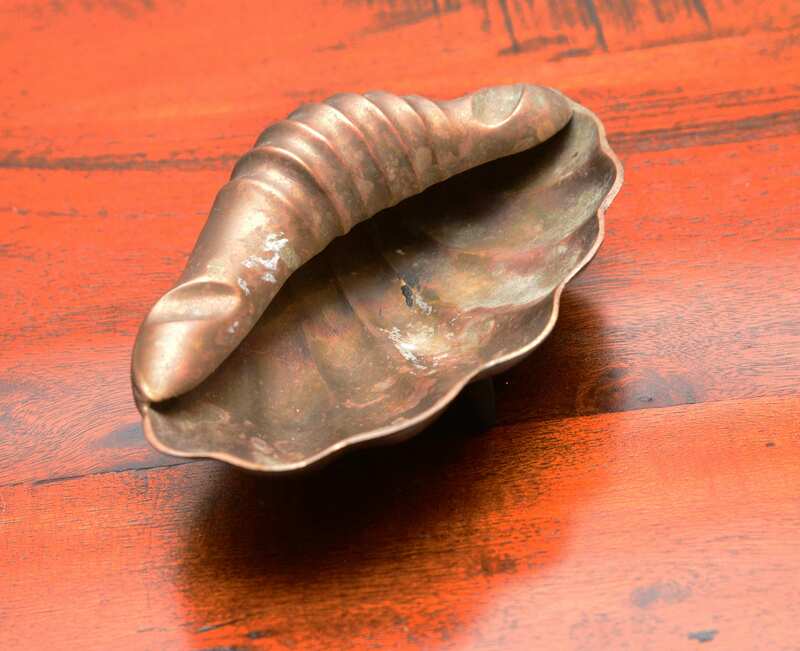 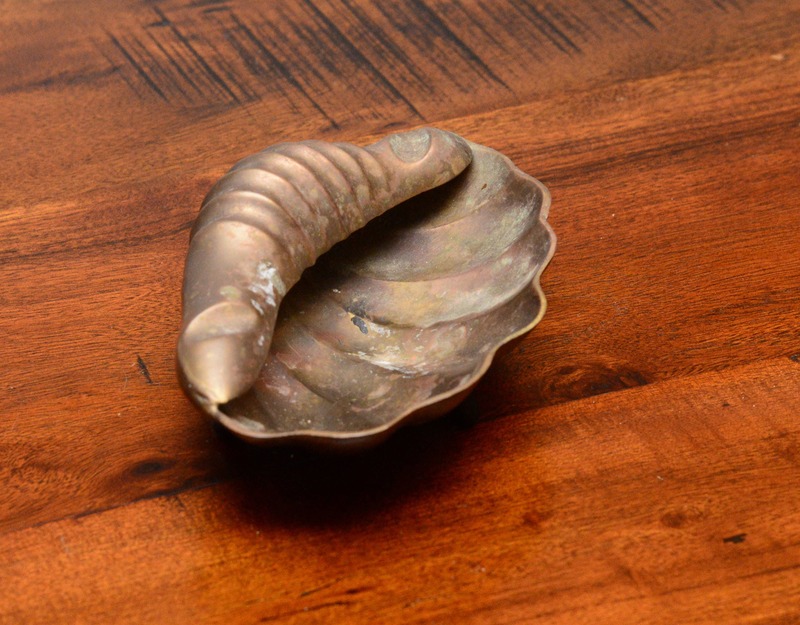 Solid brass Shell shaped Ashtray made by Commodore in india. 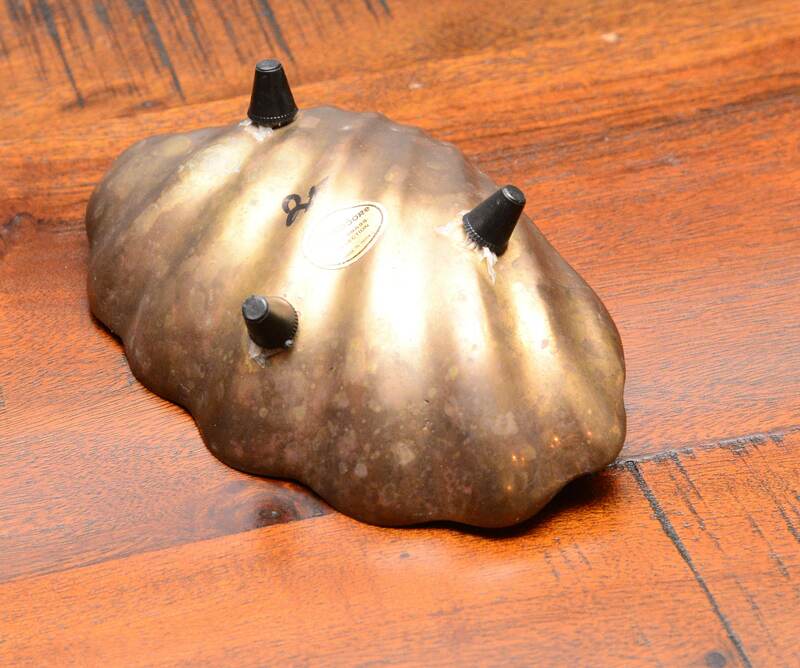 Nice heavy piece with rubber covered feet. 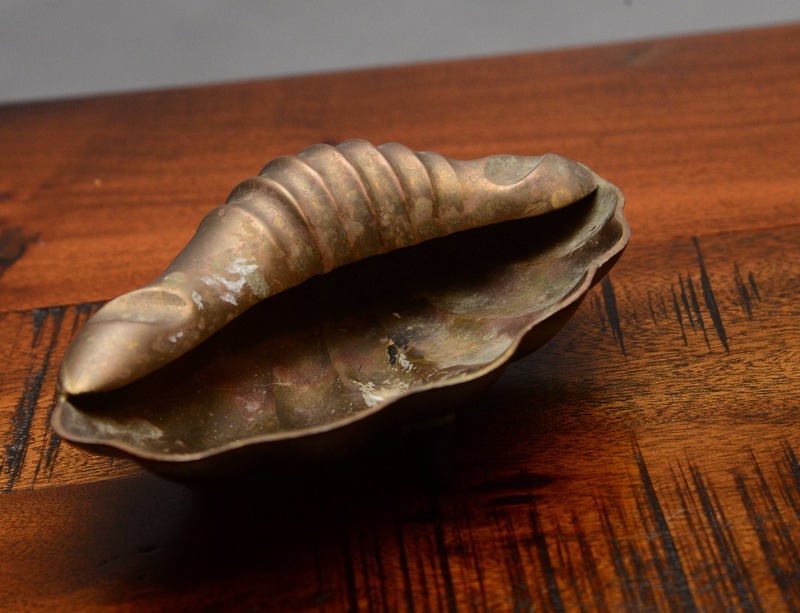 It is in used condition and has a rich patina starting to build. 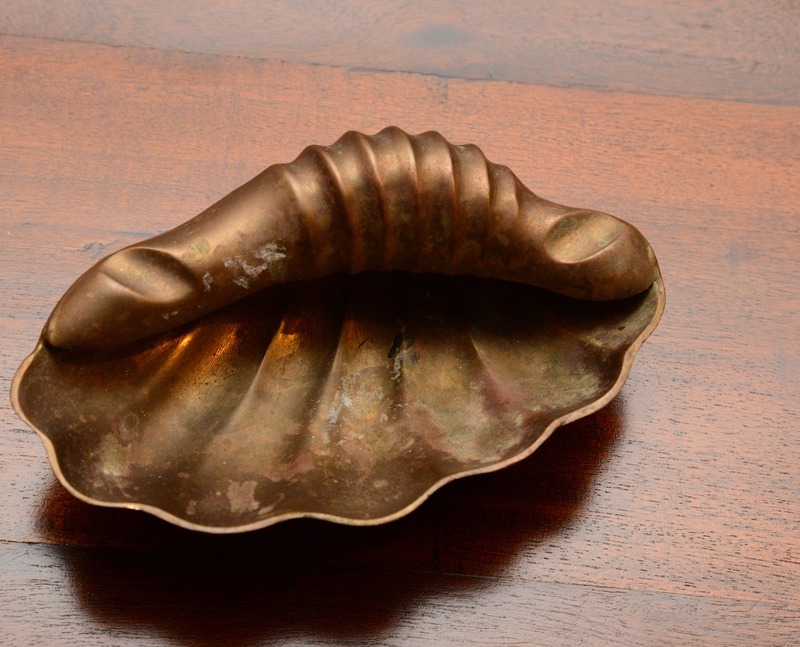 Solid piece measuring 6 inches long and about 4 inches wide.